Even as a kid my mom made sure that I used a the trusty Everyuth Walnut Scrub atleast once a week. When I became a mini oil factory in my teenage years I took to using it atleast twice or thrice a week. But when I got interested in beauty blogs I realised that this scrub might be just a tad too harsh for my dry skin. Also the recent cancer scare against products with parabens have made me turn to natural DIYs as and when I can. To begin with, we need to ask ourselves what is exfoliation? It is the gentle removal of the dry, flaky and loose parts of the epidermal that may cause one to have uneven and patchy skin. How often must we exfoliate? It really depends person to person, it would be quite silly to generalise. But from a personal viewpoint, a person like me with combination sensitive skin needs to exfoliate about twice a week. This is enough to induce cell turnover and general youthful glow. While there are wonderful exfoliating skin products in the Indian market there are also many natural exfoliants that we can find in our kitchens itself. Isn’t it better and more economical to resort to these? That is for you to decide! But I can certainly give you a few good exfloiants that you can incorporate in your skin care regime. 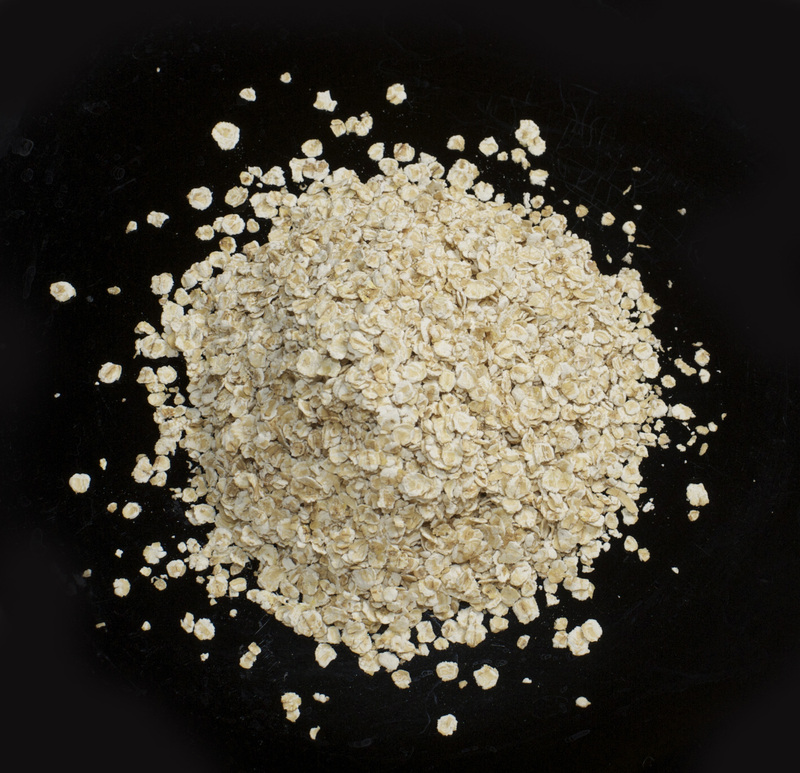 Oats are considered one of the most nutritious Indian breakfasts by health experts worldwide, but it is also a very mild exfoliant. It can be used a slough away dead skin cells without harming the healthy ones. It can be ground to a powder or used in its natural form, either way it is sure to work. Mixing it with a bit of curd also helps in reducing a stubborn tan over time. Health experts feel that while sodium in large quantities may be harmful for our body, using it externally can help rejuvenate and improve the elasticity of the epidermal. Mix sea salt with a little bit of glycerine for an all natural scrub that is both exfoliating and moisturizing. Baking soda is a miracle ingredient that is used in many high end spa treatments that cost a pretty penny. But please realise that baking soda can be quite harsh on sensitive and mature skin, so it’s best to use a very tiny amount to begin with and see how your skin reacts to it. If there are no harsh effects, use a few pinches for your entire face by mixing it with a little bit of your regular cleanser. Every family has that one coffee addict that goes through coffee like it’s going out of fashion! You can use this fact for your own scrub using used coffee grinds. Mix it with a bit of olive oil, honey or apple cider vinegar, depending on your skin type. Ground almonds, fine walnut shell powder or a strawberry pureed harshly are perfect exfoliants that aren’t too harsh for the delicate skin on our face. They can be mixed with light oils, milk or even just plain water. I want to try that sea salt tip.. do you have any idea from where can I get this salt ? or is it known by a different name at local grocery shops ?